Directions: Route 2 To Walden St. Which Becomes Concord Rd. Introducing 102 Concord Rd. Ideally located minutes from Rte 2, commuter rail to Boston, Walden Pond & wonderful Concord Center, this home in Lincoln, with its phenomenal school system, is a rare gem in today's market. 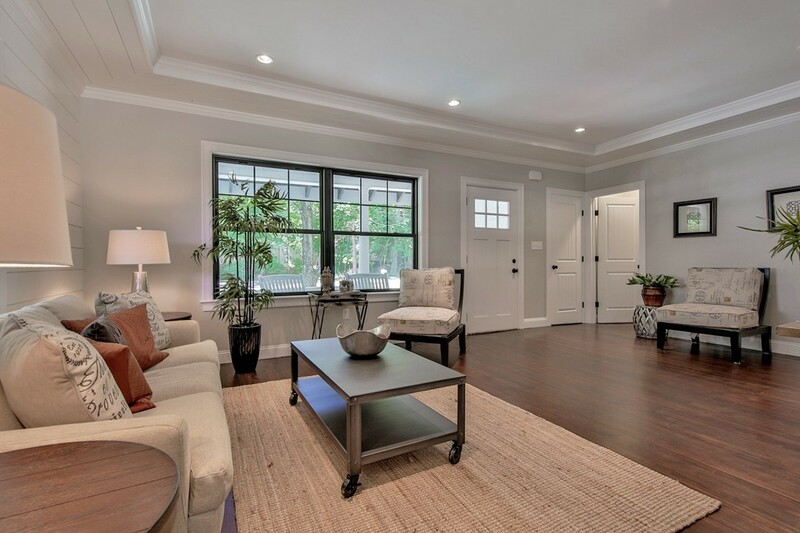 The 6 room fully renovated single family home offers you a spectacular home at a condo price & features 2 bedrooms w/ custom California Closets, 2 baths, formal dining & living rooms, an office/playroom & abundant storage. Highlights include a beautiful kitchen with new cabinetry, quartz countertops & Viking appliances, as well as large windows w/ trendy custom window treatments & gorgeous new moldings. Enjoy your morning coffee or evening beverages on the wraparound porch or on the newly installed paver patio over-looking the perfectly-sized, level yard. Renovated head to toe in 2016, all of the home's systems & features including the roof, siding & windows are new, leaving you with nothing to do but move-in, relax in your new home! Offers due Tues, 3/14 at noon.